Your house may be making you sick! 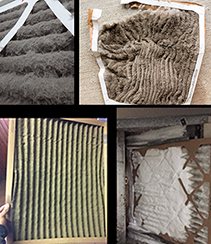 The Environmental Protection Agency (EPS) has concluded in studies that 1 in 3 homes or buildings are sick, meaning they are hazardous to the health as a result of poor ventilations and indoor air and allergens/pollutants entering living spaces through bad duct work. “Sick Building Syndrome,” or SBS, is a term used to describe homes or buildings whereby “the occupants experience acute health and comfort issues that appear to be linked to the time they spend there, but no specific illness or cause can be identified,” as defined by the EPA. 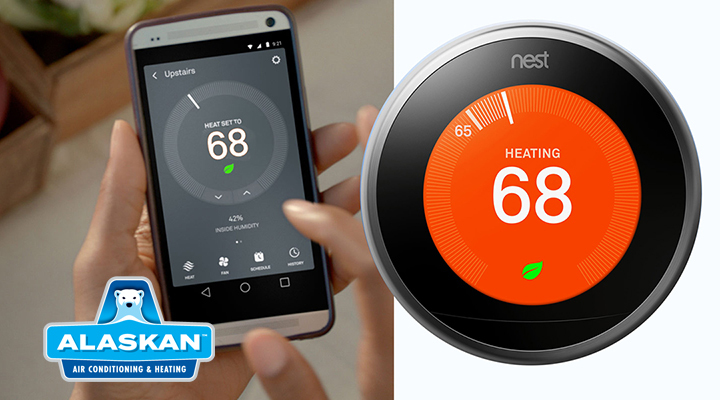 Reports show that most sick homes or buildings are that way because of the type of, or flaws in, the heating and cooling system. This is especially true of those choosing to cool with evaporative coolers. Bad duct work can also create a sick home. Bacteria, mold, pollen, and viruses are types of biological contaminants that create SBS. These contaminants can breed in stagnant water from evaporative coolers, duct work, humidifiers and drain pans, or where ever water collects. Biological contaminants caused by these can show up on vents, ceiling tiles, carpeting, upholstery and/or in the insulation…and on YOU! 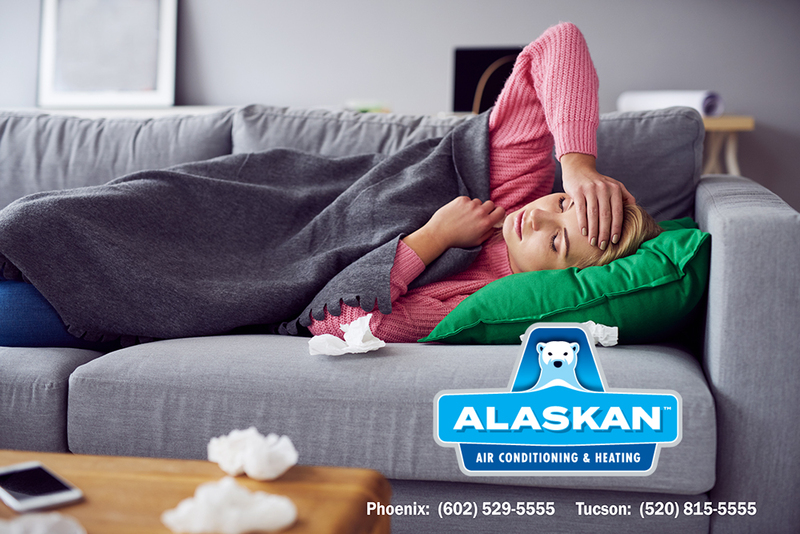 Increasing ventilation rates and air distribution often can be remedied with a conversion of evaporative cooler to central air conditioning, or a replacement and upgrade of an existing HVAC , especially one with an air cleaner built-in. Proper duct work design and replacement will help tremendously, too. If you suspect that you have a sick house, we can assess and correct your issues. 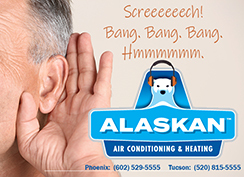 Call Alaskan Air Conditioning & Heating and Cooling for a sick home evaluation and proposed solution. In Phoenix, call 602-529-5555. In Tucson, call 520-815-5555. Call Today…do it for the health of your home AND FAMILY!